Contact Info 285-3710. Please contact the trip coordinator well in advance of the trip. Description We haven’t done these trips, but come to Cortes and explore with us. There are a number of options: 1) come Saturday on the 9:05 ferry, hike with us, and return to Quadra on the 5:50 ferry, or 2) come Friday anytime or Saturday on the 9:05 and camp on Cortes, hiking together on Saturday and Sunday. Plan ahead if you want to stay over Saturday night.The Saturday hike is expected to be from Coulter Bay to the Carrington Bay narrows and on to the Grandmother’s Grove, returning to the cars via a loop. For Sunday, we could chose from Green Mountain, Easter Bluff’s or Hank’s Beach. Costs The cost of the ferry. If you stay over Saturday night, there is the cost of camping or other accommodation. Notes: Gorge Harbour Marina, Smelt Bay Provincial Park and Squirrel Cove are the campgrounds we know about. Arrangements have not been made for the group, since we have no information about how many are interested. Camping at Gorge Harbour includes access to their pool and other facilities. Reservations can be made for Gorge Harbour by calling 935-6433. Tents are $25/day. 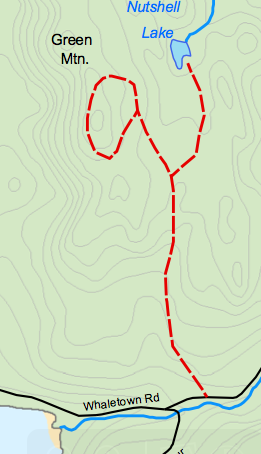 This entry was posted in Cortes Island, Hiking, moderate by qioutdoorclub. Bookmark the permalink. 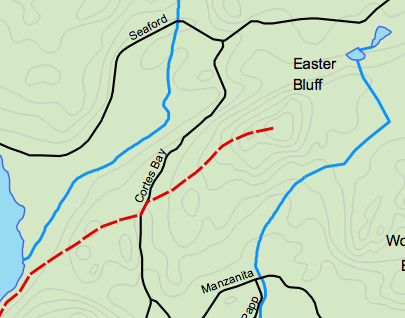 Friends of Cortes Island (FOCI) publishes a trail map for Cortes, available at the Manson’s Landing Natural Foods Co-op (http://cortescoop.ca). $20. 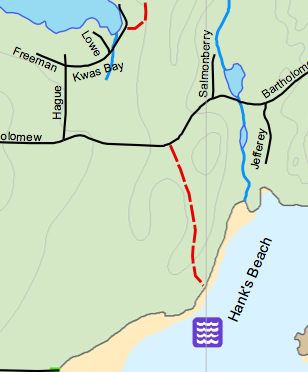 The trail systems for Hank’s Beach and Carrinton Bay are more extensive than shown above.